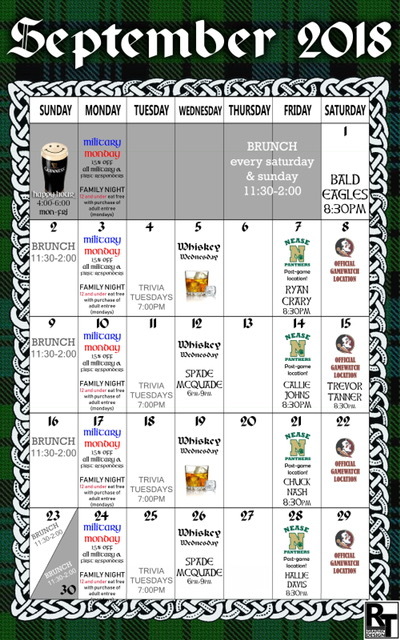 Fionn Maccool's » NEW Event Calendar! Check out our new feature here where you can see the whole month of events, specials and live music for both locations! Click here for the interactive calendar.